An assortment of chance wheels, skill games and greasy treats stands. There really wasn’t too much to this fair, at least as far as I was concerned; I’m sure little kids would have a blast at this carnival. 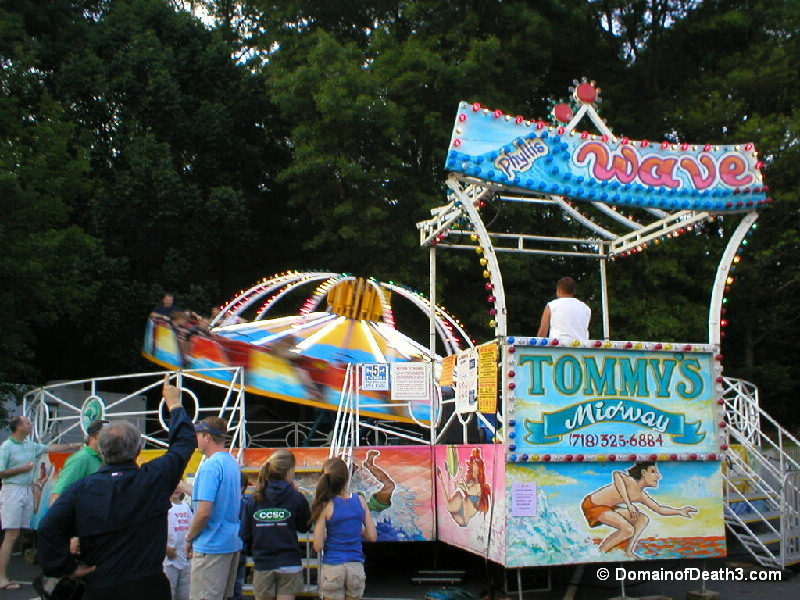 One of the bigger rides was Wave, an older looking Trabant ride with a surf theme. It looked alright, but it wasn’t in pristine condition or anything, as the case with most Trabant rides. The underside of the spinning platform had those long yellow tube lights but only 5 of them worked; I sort of likened it to looking at a person with 5 teeth. However, the platform spun faster than any other Trabant I’ve ever seen. Looking back I should have paid the 5 bucks to take a spin on it since you barely ever see Trabants anymore. (Note: now I see them all over the place! ) 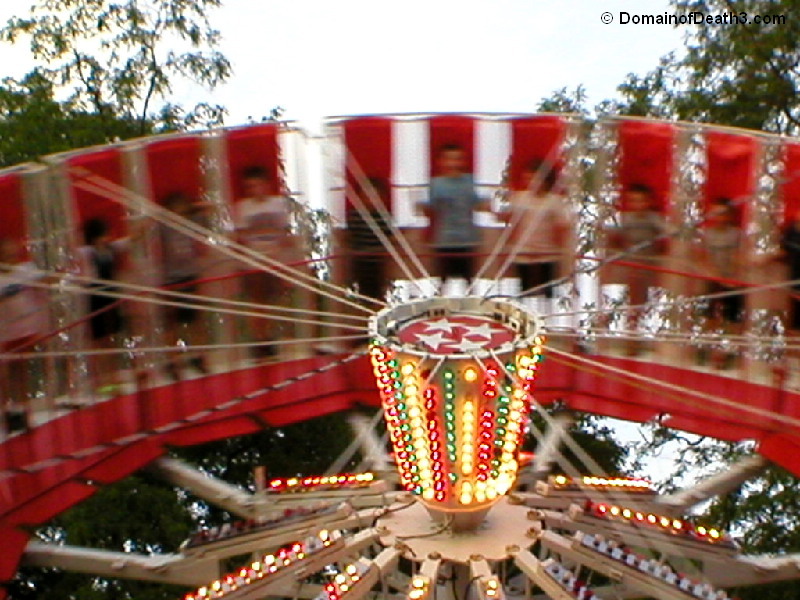 It’s also worth noting was that the Chair Jets were still being put together while the fair was happening! Brian i;am still trying to find out whether the strates shows will have booked rides in the the Meadowlands fair. Do you know anything about it? I was wanting to know if the strates shows will be having a carnival at the Staten island mall in July Is there any truth to the fact that they have purchased a new wheel?